Every so often, a story breaks that so unbelievably stupid that it makes one shudder with disbelief at the lack of judgment by some Nigerians.Huhuonline.com can report that more evidence has emerged that corrobate our previous report that there are worrying indications that Nigeria's richest man, Alhaji Aliko Dangote is facing a financial tempest that has pushed the Forbes-listed billionaire on the brink of bankruptcy as his financial empire suffocates under the weight of crumbling debt and mismanagement. Picture this: in April of 2008, an Australian IT consulting firm, Schumacher & Associates with Aliko Dangote`s consent was hired by Mr. Tony Hadley, the former CEO of the Dangote Cement division to carry out a survey and provide a complete IT and connectivity solution for the cement division. The project Huhuonline.com learnt comprised full voice, data and video capability for every site in the division worldwide and provides an IT platform for the roll out of SAP in the company. It was to include a new multi-million dollar Network Operating Centre in Ikeja, as well as other operating centres such as London and Dubai. Our checks reveal that Dangote groups and Schumacher & Associates exchanged letters and drafted an agreement which was modified by Dangote groups; the documents were then signed and submitted. Consequently, Schumacher & Associates carried out their survey, made a proposal for the complete solution, and operated under the guidance and authority of an IT Steering Committee chaired by Mr. Knut Ulvmoen, the Group Managing Director of Cement. The steering committee included many Dangote groups IT management staff members and representatives from Obajana and Benue Cement. 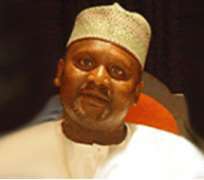 According to a source, who elected anonymity, “in the course of executing the connectivity projects, other contractors, who had done business with Aliko Dangote, warned Schumacher & Associates representatives that they should be careful to get paid since Dangote's modus operandi was to start off paying and then stop until they were so indebted to the contractor that he had no option but to continue in the vain hope of recovering their fees and costs. They also said that in the end, Aliko Dangote would refuse to pay and accuse the contractor of theft in order to get out of their responsibilities and liabilities”. Continuing the source said “We worked in an office on the 5th floor of Marble House in Dangote's HQ until early 2009; however they stopped paying our bills about August of 2008 without any explanation. We carried the project through the design phase and through the tendering phase, selecting a general contractor for the work in concert with the Steering Committee. I made many enquiries and efforts to get what was owed to us, but finally in January of 2009 I pulled my people out of the place citing a breach of contract for non payment”. Huhuonline.com understands that by July of 2009, Mr. Hadley left Dangote Groups in disgust and his replacement, Mr. DVG Edwin (Indian national) as expected, told Schumacher & Associates that he was unable to honour their contract for dubious reasons having to do with internal authorization procedures. Consequently, Dangote groups removed all Schumacher & Associates records and furnitures on the 5th floor under the guise of “renovation” and presumably destroyed them. Then Mr. Edwin Huhuonline.com learnt, stated that Schumacher & Associates did not have a valid contract and therefore could not be paid. Eventually after many months of chasing them, he wrote Australians accusing them of “illegally trying to make money from his companies through false invoicing etc. and stating that they would use every legal means to frustrate them. “We have complete records and witnesses. The amount outstanding is over US$142,000. That may not seem a large amount for the type of contracts that Dangote gets involved in, but it is a lot for our little company and if you multiply that times the great number of contractors that received the same treatment, can begin to see the magnitude of their fraud. We of course being an Australian based company have little recourse other than to take them to court, which you can imagine we would like to avoid. I stand ready to provide evidence on the above”. The source affirmed. I have been speaking to Edwin regarding our overdue account and he has advised me that I now need to speak to you personally about it. Since I am not planning on going to Nigeria anytime soon, could be please schedule a telephone meeting to discuss the payment of the outstanding amount? Thank you for your consideration. As you can see by the response below, it is clear that Mr. Edwin has no intention of settling the issue of the outstanding debt. I find this astounding given the fact that he has already settled many direct expenses incurred by my company including air tickets and hotel bills etc, which give evidence of the work we carried out on your behalf, and yet he refuses to pay our fees. Additionally he has not responded to my offer to settle. Therefore, once again I am forced to approach you directly with an offer to settle. The total amount outstanding is US$142,750 and despite the fact that I have spent many, many months and thousands of dollars trying to recover this debt already, I am willing to settle for a lump sum amount of US$125,000, provided that it is paid swiftly and without complications. Let us put this unfortunate business behind us. Thank you for your kind consideration of my offer. I have responded to you long time back and you have not brought in any new information to make me to respond again. Edwin. Sent from my Blackberry® wireless handheld from Glo Mobile. Dear Mr. Dangote, Please see attached our statement for October which shows no activity for the period. I have made several attempts to reach you during the month without success. I would ask you to kindly respond to my offer for settlement as per my previous email on this subject. I am willing to discuss this with you personally by phone, or if you require a face to face meeting, please make your preferences known so that I can respond appropriately. We have made it amply clear to you, repeatedly that we do not have any contract with your company. None of your claims are backed up by any certified documentation. All the relevant I.T staff who were with us during this period have clearly stated that you deliberately by-passed them when your bills were questioned by them. As such, none of your invoices have been certified as genuine, due and payable. Under these other circumstances, we have made it amply clear to you that you are not entitled for any payment from our company. However, our company was magnanimous enough to reimburse the hotel bills, air tickets, etc., claimed by you, even though we are not aware whether you visited Nigeria on our account or on the account of your clients in Nigeria. This is our last mail and we shall not waste any more of our precious time on such correspondence. As far as we are concerned, we believe, your company is making illegal and unjustifiable claims and is trying to make money out of us inappropriately. We shall not hesitate to take all necessary legal measures not only to protect our reputation and integrity but to protect us from being ripped off. Huhuonline.com contacted Aliko Dangote, as usual our email or text message to him were neither acknowledged or received the neccesary response.